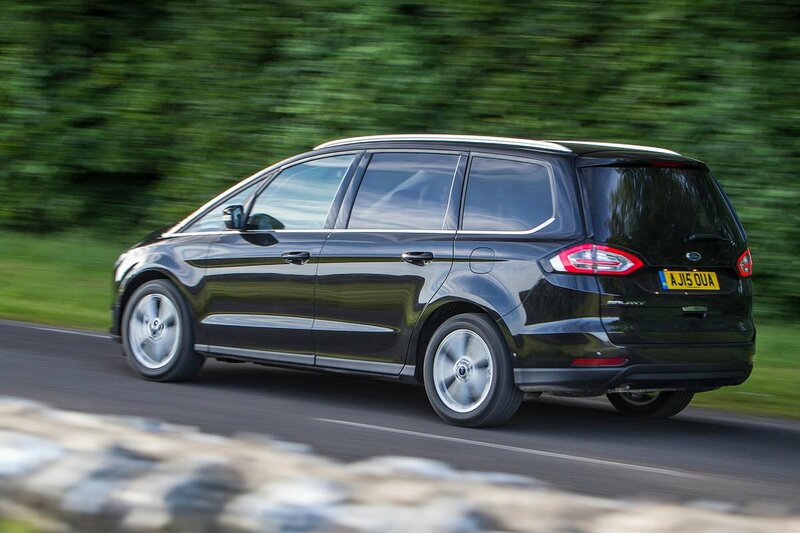 Ford Galaxy Running Costs, MPG, Economy, Reliability, Safety | What Car? Browsing the Galaxy price list will show that entry-level trim costs around the same as its Volkswagen Sharan equivalent, which makes it one of the more expensive options in the class. With Ford's PCP deals, monthly payments won't be massively different to those of rival models, and the Galaxy’s emissions and fuel economy are just as competitive. Ford has included a good amount of standard equipment, too. Our favourite is entry-level Zetec trim, which comes with 17in alloy wheels, front and rear parking sensors, climate control and Ford’s 8.0in touchscreen system with Bluetooth and DAB radio as standard. There’s not really much incentive to pay more for to Titanium or Titanium X trims; Ford has priced its options realistically so it makes sense to add features such as sat-nav and self-levelling suspension individually. Also inexpensive to add is emergency city braking, although it’s disappointing that this isn’t standard in such a family-oriented vehicle. Further safety and security features include six airbags, stability controls and an alarm and immobiliser. Lane-keeping assist is standard from Titanium trim upwards and optional on Zetec models. As for reliability, we don’t have any data on the Galaxy specifically from our 2018 What Car? 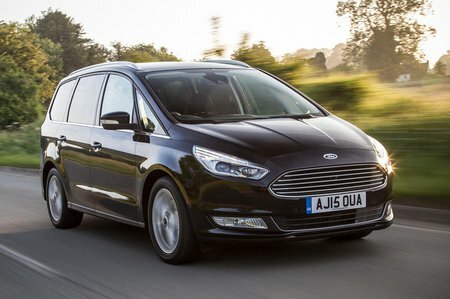 Reliability Survey, although the smaller Ford C-Max was the third most reliable MPV according to our research. Ford as a brand gave an average result, finishing 18th out of 31 manufacturers.